Situated in Nitra, this hotel is within a 10-minute walk of Nitra Synagogue, Pribinovo Namestie, and Nitra Castle. Slovak Agricultural Open-Air Museum is 2 mi (3.2 km) away. Nitra Station is 19 minutes by foot. Located in the heart of Nitra, this hotel is within a 10-minute walk of Nitra Synagogue and Pribinovo Namestie. Nitra Castle and Slovak Agricultural Open-Air Museum are also within 3 mi (5 km). Nitra Station is 22 minutes by foot. 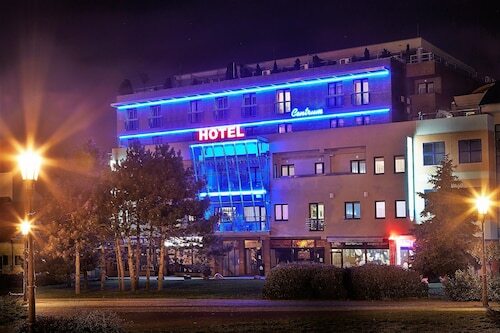 Situated in Nove Zamky, this hotel is 1.5 mi (2.5 km) from Trinity Statue and 1.7 mi (2.8 km) from Bernolakov Park. Nitra Synagogue and Pribinovo Namestie are also within 32 mi (52 km). Situated in Levice, this hotel is within 20 mi (32 km) of Dudince Catholic Church, Dudince Evangelical Church, and Historic Roman Baths. New Castle and Holy Church of St. Catherine are also within 32 mi (52 km). Levice Station is 21 minutes by foot. How Much is a Hotel Room in Podhajska? Hotels in Podhajska start at $55 per night. Prices and availability subject to change. Additional terms may apply. Savvy travelers can seek out 5 places to rest your head within a reasonable driving distance of Podhajska via Travelocity's easy-to-use accommodation booking platform. The Alexanders Hotel, Slovakia, which is the closest accommodation option, lies 19 miles (30 kilometers) from the heart of Podhajska. A second close Travelocity-listed option is the Hotel Hubert Nové Zámky, which is in Slovakia, about 12 miles (19 kilometers) from downtown Podhajska. 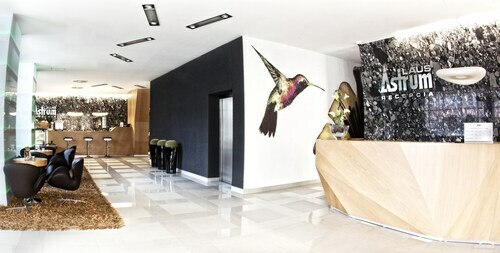 The FUKAS Apartments Nitra as well as the Business Hotel Astrum Laus are hotel options to check out. The FUKAS Apartments Nitra is situated 19 miles (30 kilometers) away from the center of Podhajska. The Business Hotel Astrum Laus can be found 14 miles (23 kilometers) away. 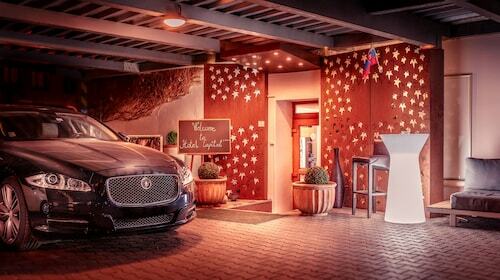 The Park Hotel Tartuf is another alternative. You'll find it positioned just 17 miles (27 kilometers) outside of Podhajska's downtown precinct. Bratislava is 55 miles (92 kilometers) west of Podhajska and features Bratislava Castle and St. Martin's Cathedral. Next time you visit Bratislava, be sure to check out the Grand Hotel River Park, a Luxury Collection Hotel Bratislava and Tulip House Boutique Hotel Bratislava. Or stay in Piestany, 40 miles (65 kilometers) northwest of Podhajska, where you have the options of the Thermia Palace and Spa Hotel Splendid. The House of Arts and Kolonadovy Most are a couple of the most popular attractions to experience when visiting Piestany. Before you make your way home from Bratislava - Western Slovakia, be sure you experience an exciting game of sport. Stop by Petrzalka Stadium, to the west of Podhajska. Any sports fans that are hoping to find a Travelocity-listed room close to the stadium can take their choice from the ARCADIA Hotel or the Crowne Plaza Bratislava. Located 55 miles (85 kilometers) away from Podhajska's city center is M.R.Stefanika Airport. Find a room nearby at Hotel BNC or NH Bratislava Gate One.